A short while ago I wrote about Disney's new bluray and DVD releases for the month of November. One of them happens to be Disney's Winnie The Pooh: A Very Merry Pooh Year! Pooh happens to be my very favourite Walt Disney character, and has been since I was a little girl. All my kids inherited my love for Pooh and can always agree on watching any Pooh film. To be honest, I watch them too because they are cute and funny. My kids have Pooh bear costumes and love dressing up as Pooh bear! I've also thrown many Pooh bears birthday parties over the years, and even bought Pooh 1st Birthday party supplies before my oldest son was even born! Pooh bear is a beloved member of my family and will be for years to come! 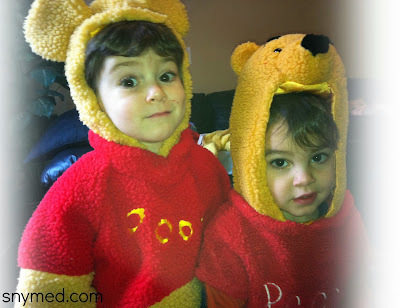 Dressed Up As Pooh Bears! Disney's Winnie The Pooh: A Very Merry Pooh Year is a great family film for the Holidays, or really anytime of the year. You'll see all your favourite characters in it: Pooh, Tigger, Eeyore, Piglet, Rabbit and Christopher Robin. If you are looking for a great Christmas gift for a child, then this movie is sure to delight! 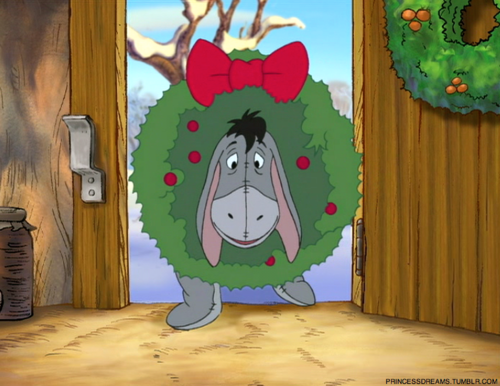 Eeyore Doesn't Seem Gloomy at Christmas! 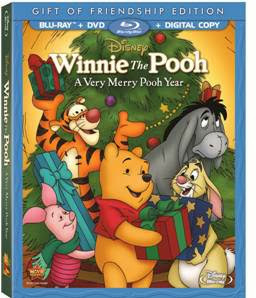 WIN a copy of Disney's Winnie The Pooh: A Very Merry Pooh Year on blu-ray/DVD combo pack from SnyMed.com! 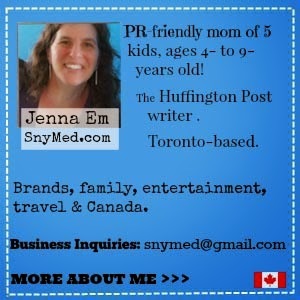 Contest open to Canada (sorry Quebec), and ends Wednesday December 11th, 2013. We cannot guarantee Christmas delivery for the contest winner, although every attempt will be made. Thank you for understanding. Leave a COMMENT below stating your favourite Winnie the Pooh Character (ie: Pooh, Tigger, Owl, Eeyore, Piglet, etc) OR tell me how you like to warm up in cold weather. Then, use the entry form below to enter the contest. GOOD LUCK! my fave character is def eyore! Eeyore is my favourite for sure. I have always had a soft spot for Eeyore. My favourite character is Tigger. I love his bouncing tail. My husband is a LOT like Eeyore so I guess it would be odd if he wasn't my favourite. My daughter's favourite character is Tigger. Pooh for sure. DVD, hot chocolate and a big comfy blanket. Piglet is and has always been my favourite - what a cutie! Grew up on Winnie the Pooh back in the day. Thanks =). Eeyore is my absolute favourite. Pooh was always my fave. I love Pooh and I like to warm up by snuggling by the wood stove with my little daughter Julianne watching a movie. Eeyore is our familys favorite character from Winnie the Pooh!